Disease prevention is a priority of public health. Vaccinating individuals will help prevent "vaccine preventable" infectious diseases that were once common in the United States, including Polio, Measles, Diphtheria, Pertussis (whooping cough), Rubella (German Measles), Mumps, Tetanus, Hemophilius Influenza Type B (HIB), and H1N1 (Swine Flu). 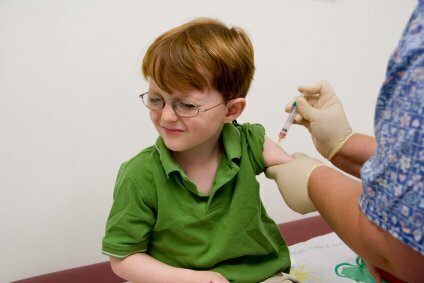 The Jackson County Health Department charges an administration fee of $3.00 for the first immunization and then $1.00 for each individual immunization. No person shall be denied the vaccines that are provided by the Ohio Department of Health for failure to pay an administration fee. Adult Hepatitis B, Zostavax (Shingles), and HPV vaccines are available at a charge to meet the expense of the purchase of the vaccine. Guardasil, the vaccine for Human Papillomavirus, is given to women 26 years of age and under, and most highly recommended for girls 11 to 12 years of age. Flu vaccines are administered to Jackson County residents each fall in collaboration with the Ohio Department of Health.